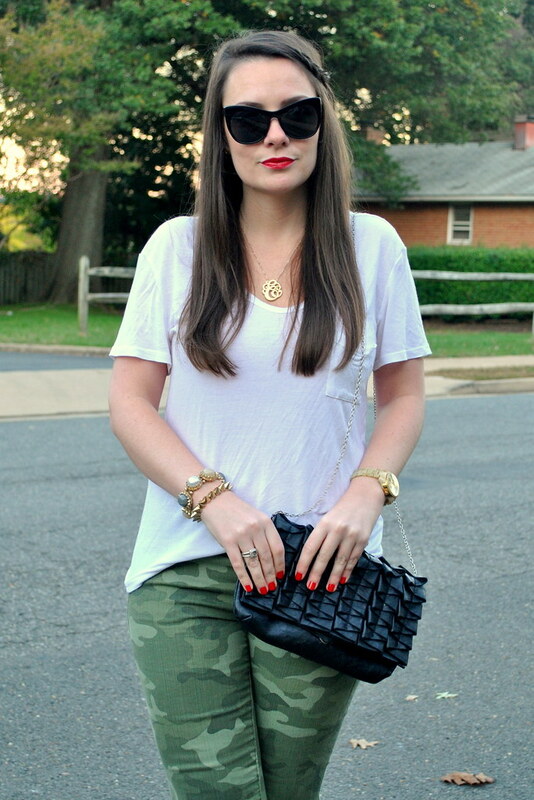 The deets: GAP camo skinnies; Nordstrom tee; Rachel Zoe heels; Elizabeth and James sunnies; Piperlime clutch; Kate Spade earrings; necklace c/o My Jewel Candy; ASOS and Anthropologie bracelets; Michael Kors watch; OPI "Big Apple Red" nails; Giorgio Armani lipstick in "Four Hundred." I am very excited to share an extra special post with you guys today. Basically, you get a three for one, which is the best thing ever. 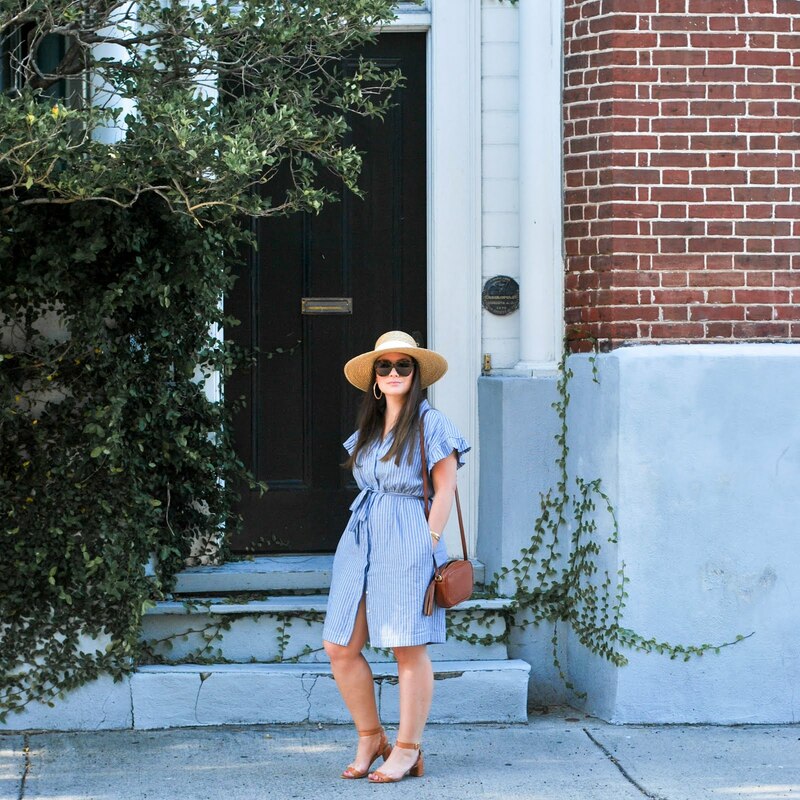 After a couple blogger friends and I realized we all had the same jeans we thought 1. that we all obviously have good taste (duh) and 2., why not collab on a post? 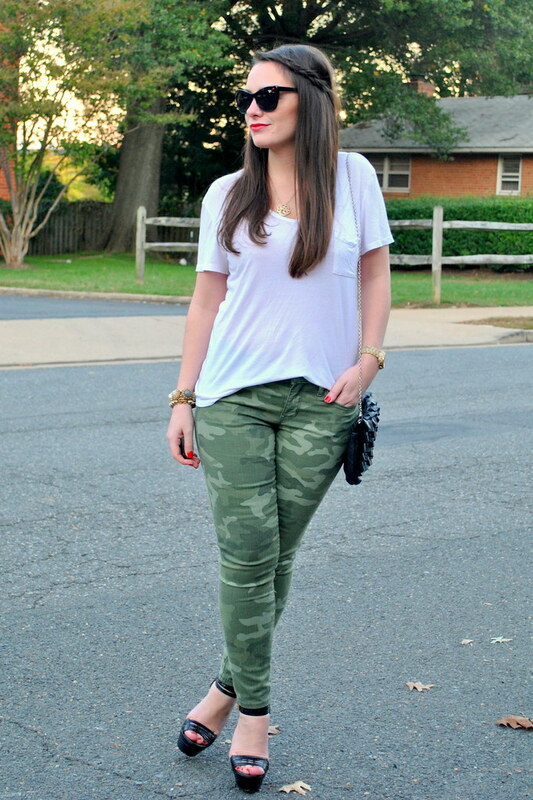 I love how you can take these jeans and do a million things with them depending on your personal style. I went with a slouchy tee and edgy details, Alissa of Feeling Good Style went more classy with chic heels and and a blouse, and Alison of Chain Strap Purse went cozy and polished (try not to be too jealous of her amazing head of hair). 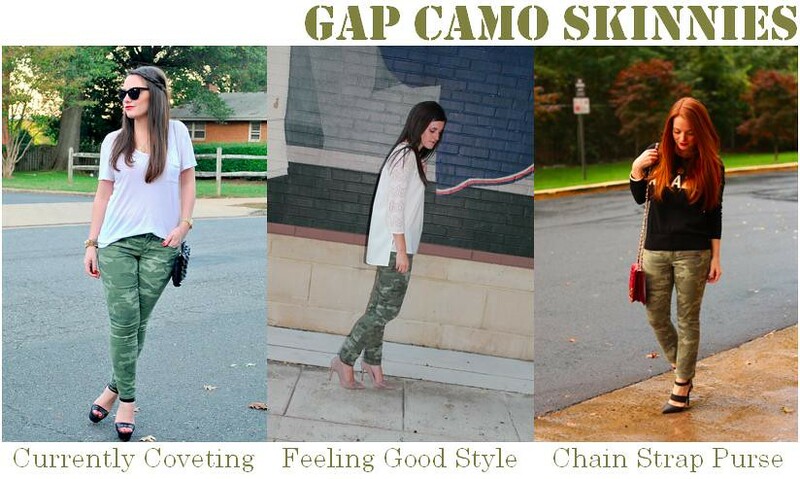 Make sure you check out all three looks (preview at the bottom). 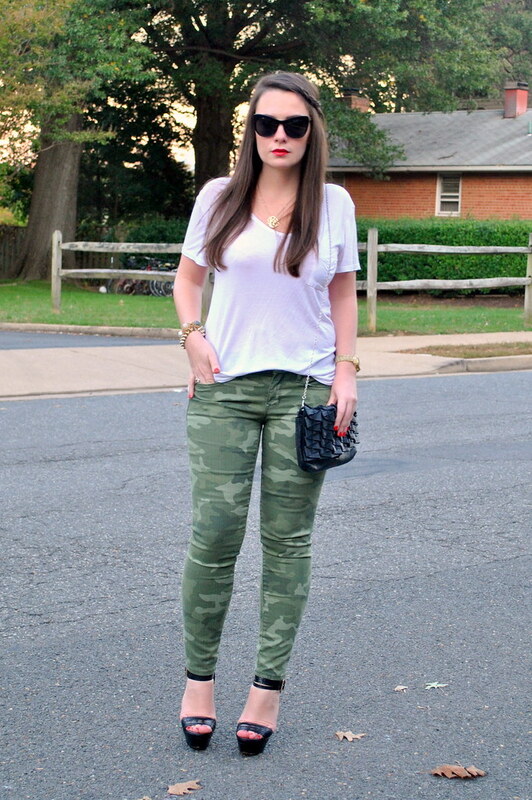 I own zero camo, but I love the look of skinnies–you look fabulous! 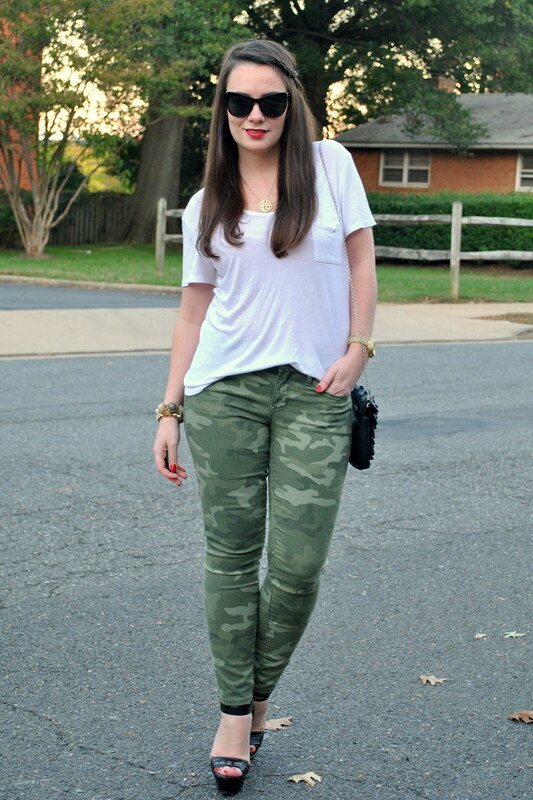 Love the red nails with that camo! So cute! 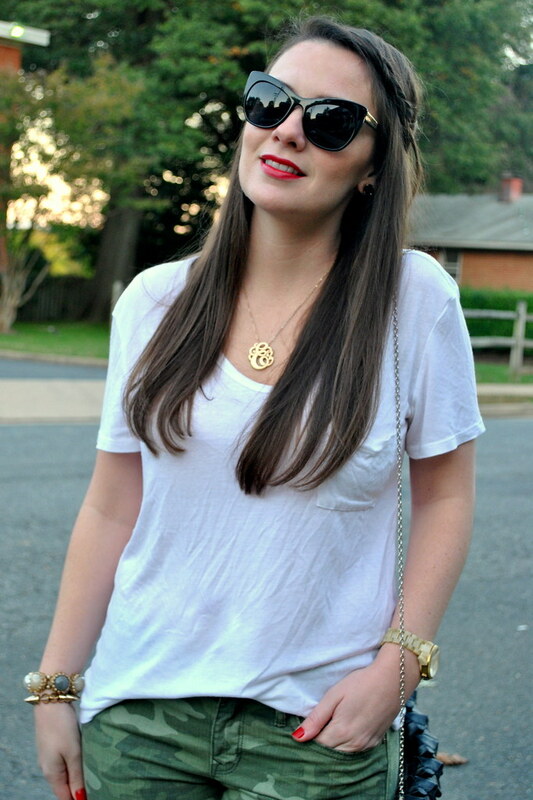 Love the lip color with this simple look! So cute for fall! this is everyday glam my pretty friend!